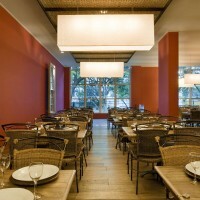 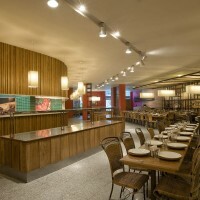 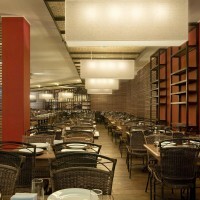 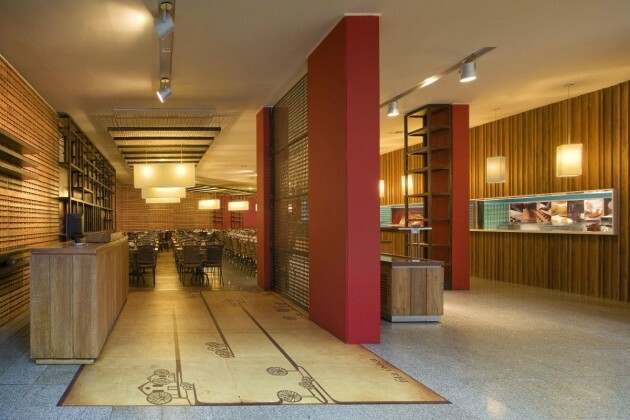 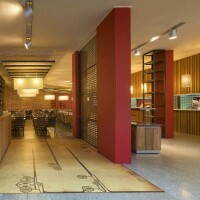 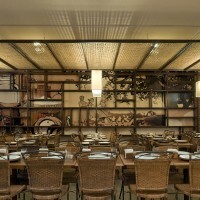 The Italian Restaurant Vila Giannina was designed by David Guerra Architecture and Interior. 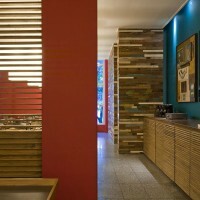 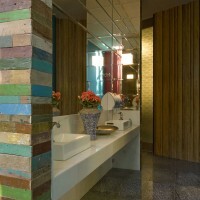 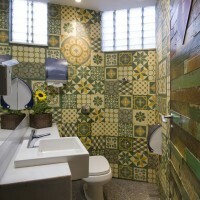 It is located at the ground floor of a residential building at a area of Belo Horizonte, Minas Gerais, Brazil. 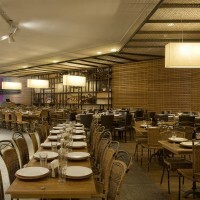 The restaurant has the capacity to 300 seats and the refinement of an a la Carte restaurant in its menu and decoration but it offers a self service style. 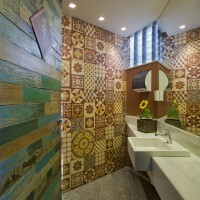 The village aspect and the colors of Italy appear in the use of the plaid and materials such as the straw, the antique wood, the bamboo, the reed and the hidráulico tile create a snugness atmosphere. 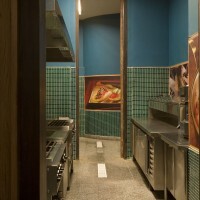 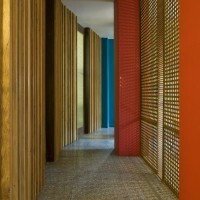 The functionality and the simple language created by the straight lines reflect the contemporary. 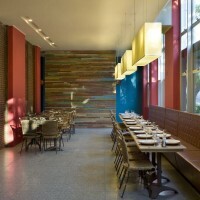 The strong colors, the double height room, the exposed structure, the lighting, the rustic materials and the sculpture shelves create a ludic atmosphere.